00:49:27 – Who would like this? If you want to watch The Little Stranger, movie please consider renting or purchasing the movie through this amazon link to help us support the podcast. 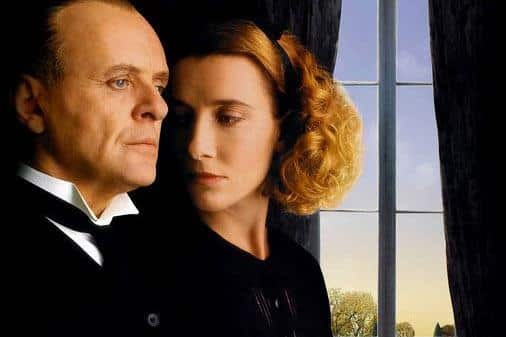 If you love scary movies, but wish they were more like The Remains of the Day, then you might like The Little Stranger. It can be found in theaters right now. 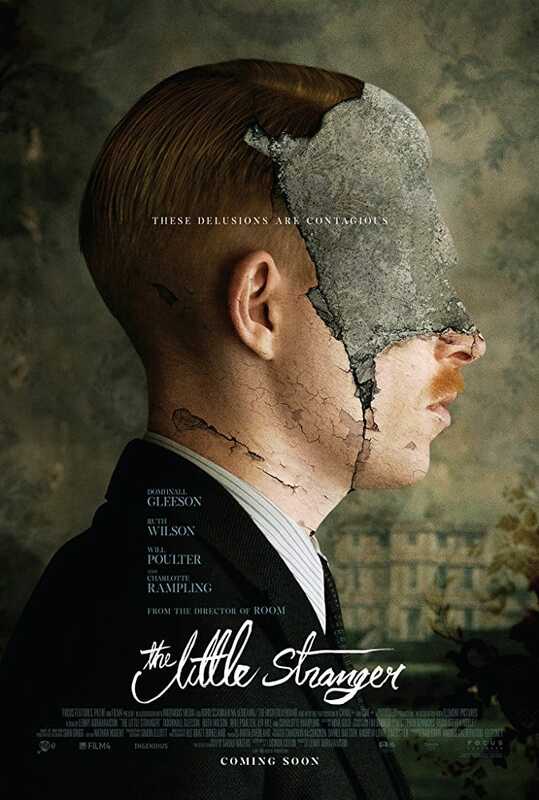 The Little Stranger is about Dr. Faraday (Domhnall Gleeson), an english country doctor that starts making calls at the estate of the wealthy Ayers family, Hundreds Hall. Think Downton Abbey, but sadder. Dr. Faraday has a history with the estate, as his mother used to work as a housemaid there. Nowadays, the estate a run-down shadow of its former self and is only inhabited by the eligible bachelorette, Caroline Ayres (Ruth Wilson), her horrifically battle scarred brother Roderick (Will Poulter), her mother played by Charlotte Rampling, and the lone housemaid Betty. But are they the only Ayers living there? We…slowly find out that the house is haunted sorta kinda, and then the movie ends. It was a slow movie that could only be generously classified as about 5% horror movie. It’s slightly interesting because of the human drama, but the scares fall flat. There is a lot of ambiguity and subtlety in this movie. I walked away wondering if there was any supernatural occurrences whatsoever, and if all of the calamity could be just explained by surreptitious actions of Dr. Faraday and/or human error. The only thing that keeps me from definitively making that conclusion is that the spontaneous scratch marks that appear on Mrs. Ayers, seem to have no other explanation than supernatural phenomena. So it could either be one bad dude, or it could actually be the ghost of a dead Ayers child that creates all the havoc at Hundreds Hall. There is talk of poltergeists and a heavy emphasis on Dr. Faraday’s covetousness and forwardness. The poltergeist could be just an extension of Dr. Faraday’s sub-conscience, which is an idea alluded to in the script. I’m tempted to read the book that the film is based on to get a little more insight into the character of Dr. Faraday, but to be honest, the movie wasn’t interesting enough for me to spend more time delving into the story. Needless to say, everyone dies because of some curse that befalls Hundreds Hall, and Dr. Faraday is seen in the epilogue wandering the halls staring off into the middle distance. The last shot is of Faraday as a child looking over the balcony that Caroline was pushed over. Does that mean he did it? Was Caroline’s “It’s you” referring to Faraday? I dunno, maybe. Is The Little Stranger Worth Seeing? I wouldn’t recommend seeing it in the theater, but it would make a fine “Netflix and chill” movie. It’s not a good horror movie, and it is only a middling drama. 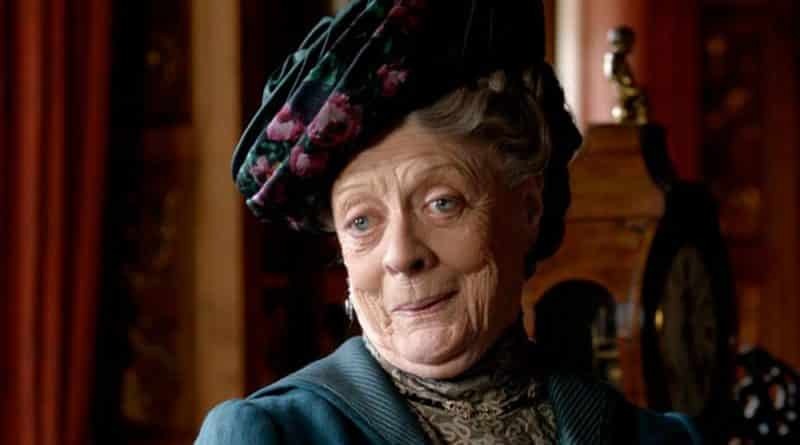 If you are the Dowager Countess of Downton Abbey, you might like it, but everyone else can probably find something better.